References to the city occur even in highly metaphorical fados; here, the intention seems not so much to describe or represent the city as to ground otherwise ‘universal’ material. An example can be found in a lyric written by Amália Rodrigues, in which she speaks of an ‘icy sea’ that enters her when her lover is absent and of being ‘um barco naufragado / Mesmo sem sair do Tejo’ [a boat shipwrecked / without even leaving the Tejo]. In another fado associated with Amália, Alexandre O’Neill’s ‘Gaivota’ [Seagull], we hear of a seagull that might come ‘trazer-me o céu de Lisboa’ [to bring me the Lisbon sky]. The success of this song, which has been recorded by a number of performers, has arguably strengthened the possibility of a metonymy utilized in many fados whereby the image of the ‘gaivota’ comes to stand in for Lisbon itself. The same can be said for the ‘Varinas’ mentioned in many older fados; these are female fish sellers famed for carrying their baskets of fish on their heads as they walked through the streets. Now more prevalent in songs than in reality, they are also hymned by mythologists such as Ángel Crespo. ‘Gaivota’ also highlights the desire to move to a space where one can look down on the city. As Michel de Certeau and numerous cultural geographers have pointed out, the ‘God’s eye’ view of the city beloved of urban planners and readers of the city-as-text often mixes uneasily, and even antagonistically, with the lived text of the street level view. But that does not alter the fact that such a perspective remains a dseirable one, even in everyday life. It is, after all, what allows us to read the city and try to get a sense of what the city might mean. While it is true that the view from above is one which has power and authority attached to it, it is also a view that the city itself – in the form of the polis, the citizens – requests. There is a pleasure to viewpoints that allow a looking-back on the city text, which is why they are frequently included on tourist itineraries and prominently signposted from the ‘depths’ of the city itself. Fado’s association with Alfama has allowed its songwriters not only to negotiate the dark alleyways and labyrinths of the quarter, but also to look down on the city and the river below. Hermínia Silva can thus sing of the ‘Telhados de Lisboa’ [Rooftops of Lisbon] and Tristão da Silva of the view ‘Da Janela do Meu Quarto’ [From the Window of My Room], from where he sees Alfama, the seven hills of Lisbon, the varinas, the cathedral and the Tejo. Let’s return to ‘Gaivota’, a fine example of fado canção. Written by Alexandre O’Neill, set to music by Alain Oulman and recorded by Amália Rodrigues, the song became a twentieth century fado classic. Central to its appeal are the dense metaphorical language, the references to Lisbon (nothing too obsessive, just the sky above the city that allows us a view of its streets and the possibility to be carried away on the wind and over the sea), a maritime flavour, an aching longing at the heart of the refrain and Amália’s deep saudade­-drenched voice. The song was both a culmination of all those seagulls that had provided part of the poetic language of fado and an inspiration to subsequent fados. In the 1970s, Carlos do Carmo lent his jazz-influenced phrasing to the song and it was reinvented, arguably becoming as much his as it was Amália’s. 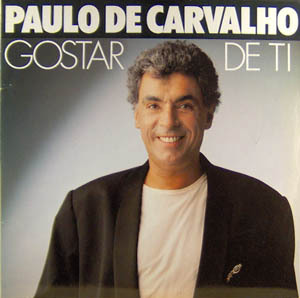 In 1990, Carmo’s occasional collaborator Paulo de Carvalho included the song on his album Gostar de Ti, a pop-fado project that mixed state-of-the-art keyboard sounds with guitarra. 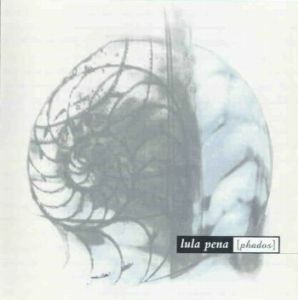 In 1998 it became one of Lula Pena’s ‘phados’, a stark, almost-not-there exercise for husky voice and guitar haunted by the ghostly presence of Amália. In 2002, Gonçalo Salgueiro used the song to show his dedication to the Amálian event and to highlight his vocal ornamentation, while Carlos do Carmo sang a more unusual version than normal to the accompaniment of Joel Xavier’s inspired acoustic guitar improvisation. Margarida Bessa’s version from 1995, complete with tenor saxophone, turned up on Metro’s Café Portugal in 2004, one part of a jigsaw of songs making up that invisible city. 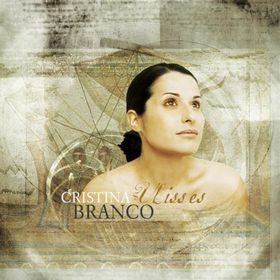 Cristina Branco used ‘Gaivota’ as a homecoming at the close of her far-ranging album Ulisses. For the Quinteto Jazz de Lisboa and for Paula Oliveira and Bernardo Moreira it became once more an exercise in jazz singing, Oliveira providing an achingly fragile reading over Leo Tardin’s minimal piano that aimed for the song’s lonely heart. Then in 2009 ‘Gaivota’ was suddenly the focal point for a Number One album by Hoje, the project featuring members of pop band The Gift, whose Nuno Gonçalves wished to prove that ‘Amália is more than fado – Amália is pop’ (see the group’s MySpace page). 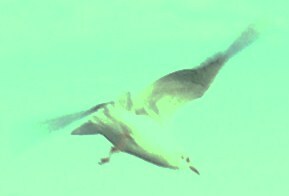 What to make of the nearly fifty year flight of this seagull? Does it tell us a story about fado or ‘only’ about Amália? Can the two be separated at this stage? Can ‘Gaivota’ tell us any more about what fado ‘is’? Does its arrangement determine its fado-ness? If so, does Carlos do Carmo stop being a fadista when accompanied by Joel Xavier? How does fado differ from other song genres? How does the commissioning of lyrics and arrangements affect authenticity in comparison to pop and rock? 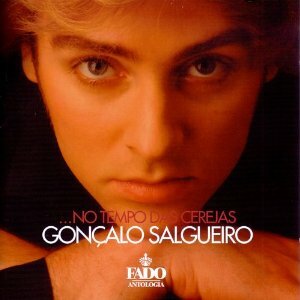 Was ‘Gaivota’ always a pop song, as Nuno Gonçalves claims? And what does it mean to claim, as Gonçalves does, that ‘pop’ is something bigger than ‘fado’? Hoje’s version soars and swoops, aiming for that place on high from where the lyric speaks and proving itself to be a song about singing, about fado and pop music: a self-aware object that escapes the drooping cadence. But which version can be said to be truer to the word and spirit of fado? The fact is that groups such as A Naifa, Donna Maria, OqueStrada and Hoje seem to climb to a place outside of fado. But this would suggest a music that ‘just is’ and a music that ‘gets outside’, which seems too neat. What are the elements within fado itself that make it seem ‘natural’, ‘transparent’? Where we had to be placed. Was our due than that it was our due. The images of collapse, resignation and decay in fado – homologically registered in falling vocal lines (what Rodney Gallop called fado’s ‘drooping cadences’) – cannot help but associate fado with an absence of agency, the mirror image of a ‘collapsed’ and fatalistic people. But in placing fado against political ideology it is never altogether clear how the music ‘sizes up’. In hymning decay/decadence, could the music in fact have been a retort to an Estado Novo whose very raison d’être was to arrest further decay? What is the significance in the fact that the State was unable to completely adopt and assimilate fado, that it was unable to paper over the cracks that fado revealed? Is it conceivable that fado could be what Roland Barthes called an ‘acratic language’ in its refusal to be assimilated? Misery, prostitution, sickness, dishonour, debasement, all this is ‘fado’. It explains and, indirectly, absolves all ills. 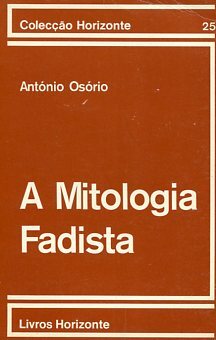 Before the ‘laws of destiny’, willpower shows itself to be non-existent; the ‘philosophy’ of fado condenses into an inexorable fatalism, ultimately nothing more than the fatum mahumetanum defined by Leibniz: free will can never be because men and events are automatically governed by the ‘force of things’. The corollary can be instantly deduced – no one is responsible for anything. [M]an’s impotence in the face of circumstance, the central experience of fado, does not only permeate the work of contemporary Portuguese writers, because it is at the heart of Kafka, of Beckett, of all the representative writers of our time. The seeds of dejection proliferate in these times of oppression and individual paralysis. Locating ideology within a framework suggested by Jacques Lacan and Slavoj Žižek may help us here. In doing so, we can posit the Symbolic as the realm of language, or discourse, that attempts to ‘explain’ the Real but which never can, for the Real remains that which cannot be symbolized. Yet that very lack in the Symbolic Order constitutes a gap and it is because of this gap, if we follow Žižek, that ideology is needed. To use a metaphor not entirely inappropriate with Lisbon in mind, if the Symbolic acts as a wall to obscure the Real, a wall that has, however, seen better days and which threatens to allow the chill of the Real in through its cracked tiles and holed plaster (to be punctured, as it were, by the Real), then ideology is the sheen of new plaster needed to fill those fissures. A music more concerned with crumbling, decay, collapse and the wounds that rupture the sheen of everyday ‘bearing up’, a music, moreover, which dwells on melancholy and which actively seeks to remain unreconciled to the world can perhaps be a music closer to challenging ideology than might at first be imagined. Can it be that fado operated, then and occasionally still, as a sublimation of the forces operating on the modern subject, that, furthermore, it has occupied the place of what Catherine Belsey calls an ‘abolished particularity’? Belsey suggests that ‘the abolished particularity returns as resistance, marking the speaking being’s loss of the unnameable real, which is still there, but no longer there-for-a-subject. This resistance makes itself felt not only in individual experience, but also as incoherences in the apparent homogeneity of culture itself.’ The stubbornness of fado’s mythemes, the persistence in which the same elements of Lisbonness, shame, jealousy, collapse, flight, the seasons and saudade are endlessly and imaginatively recombined, suggests an unwillingness to move on from the objectification of loss, a process akin to Freud’s definition of melancholy. But what does it mean to be ‘cured’ of this stubbornness except to be taken once more into the Symbolic realm, a realm one might be unwilling to recognize as one’s own? 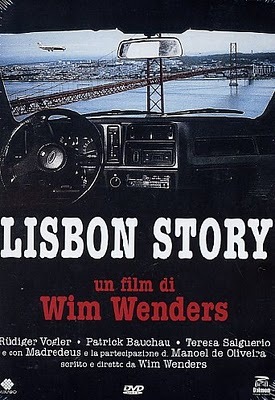 A number of themes covered in Fado and the Place of Longing are also explored in Wim Wenders’s film Lisbon Story (1994): the city as museum, tourist destination and object of navigation by its citizens; the importance of recording; stylization and the city’s style; the sound of the city; fate and deliberation. The film also allows us to focus on the role of technology in the processes of recollection, witnessing and representation, playing out the double nature of technology as recording and creative tool. Wenders’s film itself contains a film-within-the-film in which one of the characters, Friedrich Monroe, is attempting to document the city and to record the notable. 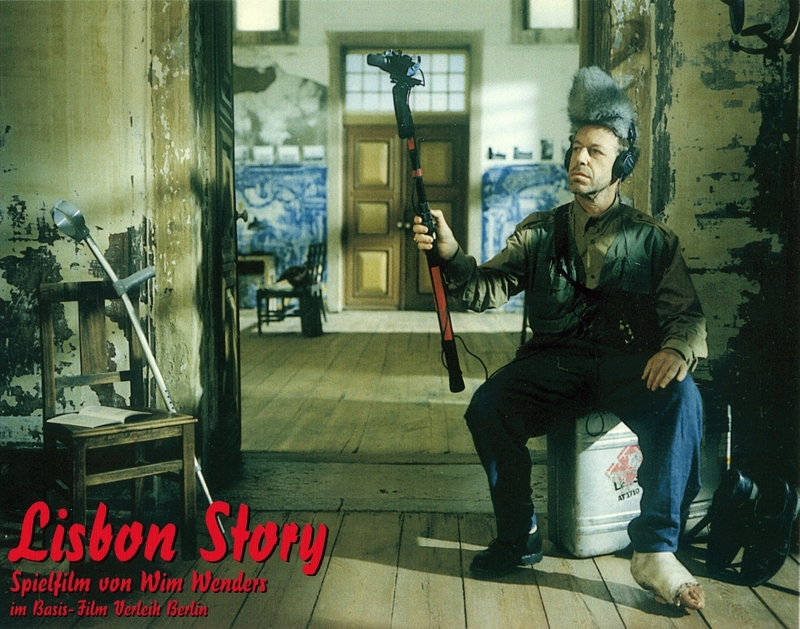 Lisbon Story began life as a commission from the city of Lisbon for Wenders to produce a promotional film in the year that the city was European Capital of Culture (1994). At some point Wenders decided to add a fictitious narrative to give the film more dynamism. The storyline allows his protagonist, Phillip Winter (a character Wenders would use in other films), to embark on various quests: for his friend Monroe, for a sense of identity, for love and for perfect sounds (Winter is a sound recordist). Monroe has contacted Winter to ask him to join him in Lisbon, where he has been shooting film of the city and to add sounds to his footage that will bring his visual images to life. From the outset, sound is the medium through which the technological era is explored. The opening scene in Winter’s car as he drives from Germany to Portugal is accompanied by an ever-shifting radio soundtrack that acts as both travelogue and as an example of the web of broadcast sound which had come to dominance in the twentieth century. Winter carries with him the tools of his trade, a variety of recording devices and objects with which to emulate natural sounds. As we discover on his first meeting with the children who follow him around recording him on video, Winter is an illusionist, conjuring sound from the simplest of objects via the magic of technology. Music is a central component in the film, especially that provided by the group Madredeus, who had already had a prominent recording career prior to the film but gained even greater exposure after soundtracking it and appearing in it. Outside of Portugal, the group became one of the first Portuguese acts – and certainly the first ‘non-traditional’ act – to be included in the newly-formed ‘world music’ category, gaining them further exposure via the emerging world music media. Although there are elements of fado practice and style in the group’s music, theirs is not fado music. It does, however, provide a good example of the ways in which recording technology would be used in the subsequent promotion of ‘new fado’ artists of the 1990s and 2000s. A notable aspect would be the use of what we might think of as the ‘sacred silence’ of world music recording. By this, I mean the use of recording technology to attain a crisp, digital silence around the voice and instruments and to single out individual sounds (Teresa Salgueiro’s voice, Pedro Ayres Magalhães’s guitar, or the accordion of Gabriel Gomes in the recordings leading up to Lisbon Story). This stylization of the group’s sound is extended into a visual stylization in Wenders’s film in what seems, at times, to be a promotional video for Madredeus. The group are seen first playing the song ‘Guitarra’, bathed in light in a heavily stylized setting which Winter stumbles upon as an ‘accidental’ witness. The sound attains the clarity we have come to expect from modern studio recordings. These isolated sounds and visuals are contrasted with the ‘mishmash of life’ and ‘sea stew’ of background noises Winter witnesses as he wanders around the city with his microphone. These field recordings are opposed to the clarity of the rehearsal and studio spaces in a manner analogous to the contrast between ‘ethnomusicological’ and ‘world music’ recordings. Monroe’s radical solution is to assemble an archive of unseen footage, filmed automatically and not viewed but stored away for future viewings. His goal is to record the city ‘as it is, not as how we want it to be’. He here enacts a commitment, like Henri Lefebvre, to a politics connected to representational spaces and lived experience. He seeks restrictions that will allow him to remove himself from the controlling centre of representation, believing that an escape from perfection and a moving toward randomness and luck will help to bring the human back into the city. To express something is to conserve its virtue and take away its terror. Fields are greener in their description than in their actual greenness. Flowers, if described with phrases that define them in the air of the imagination, will have colours with a durability not found in cellular life. What moves lives. What is said endures. There’s nothing in life that’s less real for having been well described. Small-minded critics point out that such-and-such poem, with its protracted cadences, in the end says merely that it’s a nice day. But to say it’s a nice day is difficult, and the nice day itself passes on. It’s up to us to conserve the nice day in a wordy, florid memory, sprinkling new flowers and new stars over the fields and skies of the empty, fleeting outer world. … The grand, tarnished panorama of History amounts, as I see it, to a flow of interpretations, a confused consensus of unreliable eyewitness accounts. The novelist is all of us, and we narrate whenever we see, because seeing is complex like everything. In summoning The Book of Disquiet to provide examples for Fado and the Place of Longing (the original title of which was to be Songs of Disquiet, a title I retained for the opening chapter), I wanted to connect fado to the Pessoan project of estranging the world, of locating its disquiet. This line of thinking stresses the links to modernity that one finds in both Pessoa and fado while also opening a dialogue with existentialism and phenomenology, highlighting fado’s links to perception and to lived experience, space and place. It is also worth commenting on the fragmented nature of Pessoa’s most famous prose work. These fragments seem crucial to the growth in the twentieth century of archived knowledge, written texts, museum exhibits and recorded sounds: at once parts of a whole they can never fully catalogue and desperate attempts to salvage the present as it slips from view and earshot. They anticipate a whole range of fragmented experiences of the twentieth century: the ‘fragments I have shored against my ruin’ in T.S. Eliot’s The Waste Land; the wealth of ethnomusicological collections made possible by advances in recording technology; the broadcast media and its love of the soundbite; David Harvey’s ‘museum of modern knowledge’; the internet and its hyperlinked web of information. The Book of Disquiet is also a book about Lisbon and about the ways of living made possible by city life. The role of the observer and chronicler is crucial and Pessoa creates a special character, Bernardo Soares, to achieve this task for him. Soares interweaves his own existential confusions into his descriptions of other city dwellers who walk past his place of work, his rooms or the cafes in which he spends much of his free time. A self-described dweller on the fringe of society, Soares represents what had by this time become a defining trope in western literature, from Poe’s ‘The Man of the Crowd’ (1840, rev. 1845) through Baudelaire’s ‘The Painter of Modern Life’ (1863) to Rilke’s The Notebooks of Malte Laurids Brigge (1910). A strong sense of alienation amongst the crowd comes into play in Pessoa’s work, leading to yearning for a past in which individuals were more noticeable. In this way, Pessoa’s book speaks to earlier modern works on the city. The excitement that Walter Benjamin finds in the Baudelairean city, for example, is present in Pessoa yet it is an excitement that mixes uneasily with a sense of estrangement. Furthermore, there is a sense in The Book of Disquiet of the attempt of the individual to overcome the monstrous in the city, to imprint his or her own trace upon the structured, symbolic city plan. Such is the case in José Saramago’s The Year of the Death of Ricardo Reis, where the figure of Ricardo Reis is witnessed in an ongoing process of walking the streets of Lisbon; even as he is marked for disappearance, Reis leaves his trace on the city, on the dead poet who haunts him and on the readers of Saramago’s text. Citizens are able to take partial ownership of the city. Yet that partiality only leads to a new type of symbolic ownership and, though the culturally-scripted city has been challenged by this new symbolic city, the new symbolic city becomes both familiar and fantastic. With its always-threatened loss the symbolic city becomes an object of nostalgic desire, forever in danger of obliteration by the real city, which cannot be symbolized or familiarized. Into what we might term, following Barthes, the studium of the Symbolic irrupts the punctum of the Real, penetrating the studied and reliable, ostensibly ‘known’ city and lending an aura of disquiet to what was supposedly familiar. This disquiet, in turn, nags at any comfortable sense of nostalgia that contemplation of the familiar, familial, home might otherwise suggest, for there is a danger present: that the object of nostalgia might not, after all, be lost. This is dangerous because the object of nostalgia seeks to find its greatest effect in the safety promised by its inability to return and contradict the nostalgic subject. The lost and mourned object does not reply and this is part of what comforts the loser and the mourner. Yet at the same time that the mourner takes comfort in this stable situation, the danger is never altogether absent that the tranquillity so longed for will not be pierced by a punctum, a reminder of the reason for mourning (I can think of few more evocative examples than Stanislaw Lem’s novel Solaris and Andrei Tarkovsky’s film adaptation of it). A still from Andrei Tarkovsky’s Solaris (USSR, 1972): 'the danger is never altogether absent that the tranquillity so longed for will not be pierced by a punctum, a reminder of the reason for mourning'. What is there to confess that’s worthwhile or useful? What has happened to us has happened to everyone or only to us; if to everyone, then it’s no novelty, and if only to us, then it won’t be understood. If I write what I feel, it’s to reduce the fever of feeling. It would be unfair of us to expect a work as fragmentary and unstructured as The Book of Disquiet to provide a consistent viewpoint about the processes of witnessing as both seeing and saying. Rather, it is a book plagued by doubts such as those just cited, an internal conflict between the desire to record and an uncertainty as to whether the record should be passed on. Bernardo Soares realizes (as does the Pessoa who, having written as Soares, then stores the writings in an enormous case destined to some kind of future revelation) that between the extremes of ‘everyone’ and ‘I’, there is a community of like-minded people to whom he is speaking: ‘It sometimes occurs to me, with sad delight, that if one day (in a future to which I won’t belong) the sentences I write are read and admired, then at last I’ll have my own kin, people who “understand” me, my true family in which to be born and loved.’ And shortly after: ‘It seems that civilizations exist only to produce art and literature; words are what speak for them and remain.’ Soares is writing for a community that will come later, which is no doubt why he wants his manuscript to be taken by Pessoa and disseminated. Ricardo Reis crosses the park to take a look at the city, the castle with its walls in ruins, the terraced houses collapsing along the slopes, the whitish sun beating on the wet rooftops. Silence descends on the city, every sound is muffled, Lisbon seems made of absorbent cotton. soaked, dripping. Below, on a platform, are several busts of gallant patriots, some box shrubs, a few Roman heads out of place, so remote from the skies of Latium, as if one of Rafael Bordalo Pinheiro’s native rustics had been set up to make a rude gesture to the Apollo Belvedere. The entire terrace is a belvedere as we contemplate Apollo, then a voice joins the guitar and they sing a fado. the rain appears to have finally disappeared. Here the sea ends and the earth begins. It is raining over the colorless city. The waters of the river are polluted with mud, the riverbanks flooded. A dark vessel, the Highland Brigade, ascends the somber river and is about to anchor at the quay of Alcântara. The steamer is English and belongs to the Royal Mail Line. She crosses the Atlantic between London and Buenos Aires like a weaving shuttle on the highways of the sea, backward and forward, always calling at the same ports, La Plata, Montevideo, Santos, Rio de Janeiro, Pernambuco, Las Palmas, in this order or vice versa, and unless she is shipwrecked, the steamer will also call at Vigo and Boulogne-sur-Mer before finally entering the Thames just as she is now entering the Tagus, and one does not ask which is the greater river, which the greater town. So begins The Year of the Death of Ricardo Reis, the classic novel by José Saramago, the Portuguese writer who died today at the age of 87. The combination of the potentially fantastic and the banal, the metaphoric and the everyday, is typical of Saramago. There is always a sense in his prose that, whatever the story he might be telling us, there are a multitude of stories framing it, running alongside it or visible just beyond its borders. Saramago wants us to know that those stories, which are sometimes really observations (as all stories are observations, ways of seeing the world) and sometimes fantastical retellings of official history, need to be included in the story he is telling us, such that we imagine, or he lets us believe we imagine, that what is unfolding in the labyrinth of his text is one, unending metastory. Frequently, in his wandering, loosely punctuated prose–sometimes described as magical realism, sometimes as stream-of-consciousness, but perhaps just as easily though of as the flow of history running all around us and threatening to drown us in the present–he will take us sidestepping through the fragile walls that separate these universes, giving us a glimpse of the bigger picture before shuttling us back to the scene in which this particular story is taking place. One does not ask which is the greater river, which the greater town. In The Year of the Death of Ricardo Reis, we know which town we have settled in. The novel tells the story of the dead writer Fernando Pessoa returning to visit one of his surviving heteronyms, the classically minded poet Ricardo Reis. In fact Pessoa is not quite dead, but rather existing in the exile of limbo while he awaits a more permanent death. Reis, too, is an exile, returning to Lisbon in the opening scene of the book after a period in Brazil. 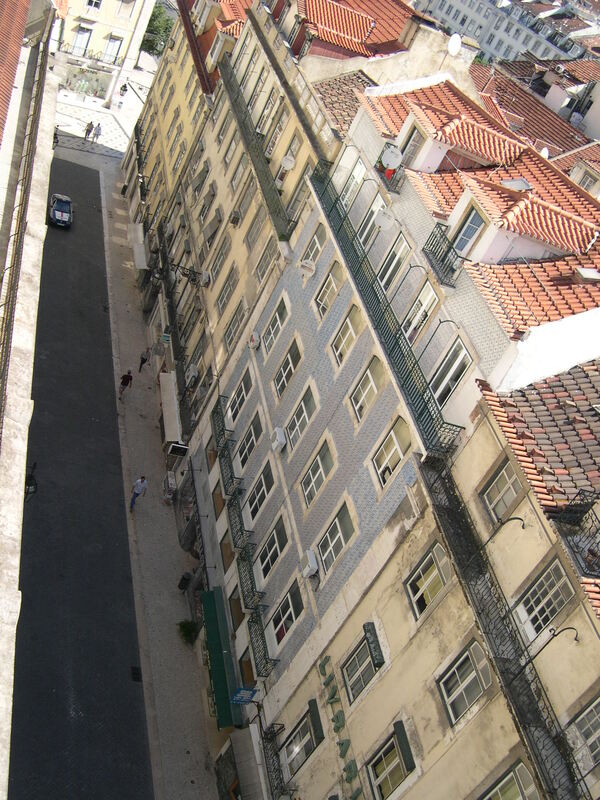 Over the course of the book, Reis is constantly witnessed wandering the streets of Lisbon in a recurrent pattern that, spelled out on the sidewalks and in Saramago’s wandering prose, symbolizes his brief presence in the city as a kind of psychogeographer. Like Paul Auster’s New York Trilogy, Michel de Certeau’s The Practice of Everyday Life and Iain Sinclair’s Lights Out For The Territory, the citizen as walker is both reader and writer, at once subject to the pre-existing paths laid out in the city text and yet able to assert an agency via the sheer act of activity. But Ricardo Reis is not long for this world–he can not be seen, in however magical a reality, to exist beyond the fading memory of his recently deceased creator, Pessoa–and he always seems to be at the mercy of what Italo Calvino calls the ‘intuition of the city as language, as ideology, as the conditioning factor of every thought and word and gesture … as monstrous as a giant crustacean, whose inhabitants are no more than motor articulations’. Poetry, fantasy, the monumental and the everyday, the eternal and the transient, memory, loss, pathos, and the humour of pessimism: all this exists in Saramago’s late voice. He will be missed.